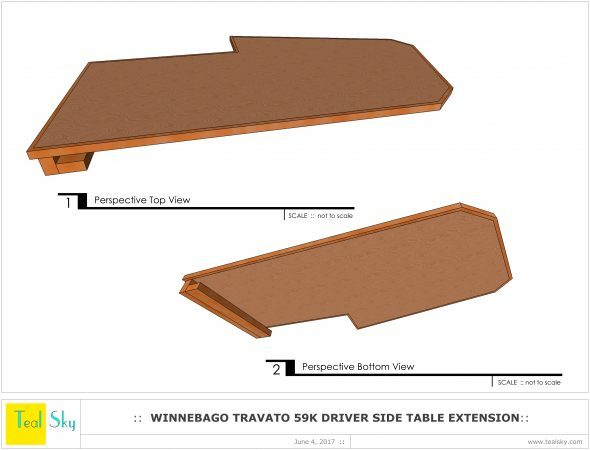 Henry designed an extension table that is install over the top of the pullout cutting board for the driver’s seat to have a better functioning eating/working area. It is better for using the computer and as an added bonus it provides more work area for the kitchen. 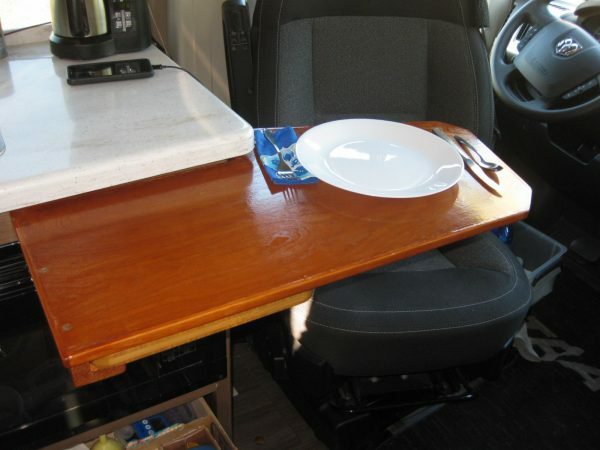 It also is closer and at a better angle for the driver seat dining experience. Thanks Mark for helping in building it! 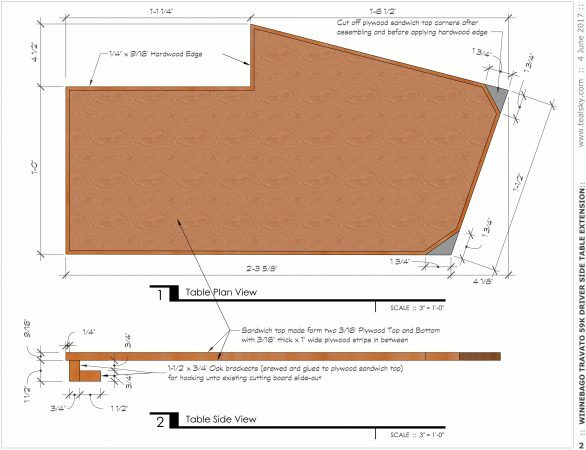 It has an L shape notch on the top so that it will not become unhooked over the cutting board. The end of the kitchen cabinet basically holds it in place. It moves in and out with the cutting board to make it easier to get into the driver’s seat. 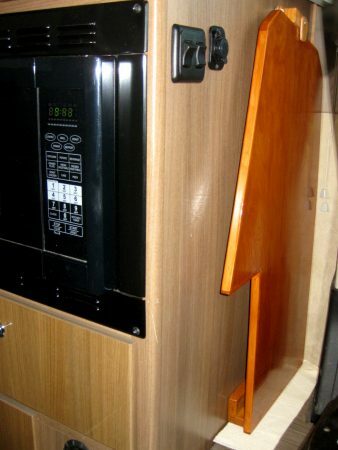 The length was determined by the height of the cabinet under the counter so that it could store easily behind the driver’s seat. 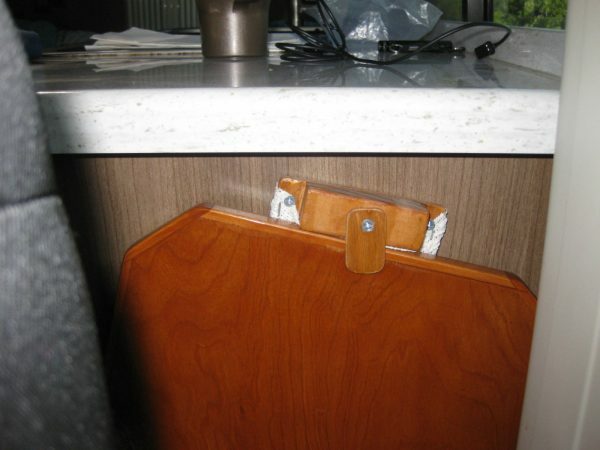 Shelf liner is loose on the floor but keeps it from scratching during travel. 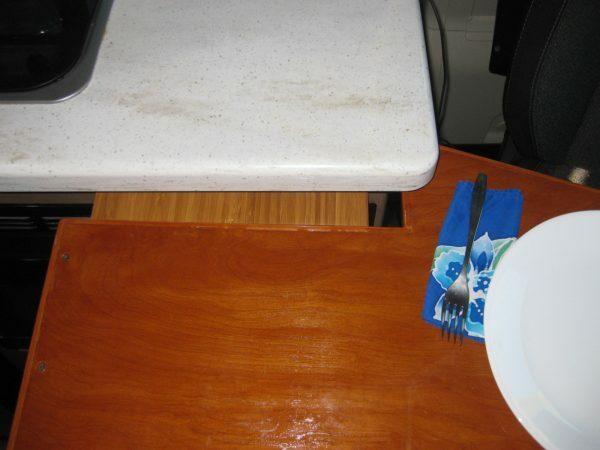 A wooden latch was also crafted to secure the top edge of the table and is screwed into the cabinet end above the power outlet. It is wrapped with shelf liner so no rattling or scratching.